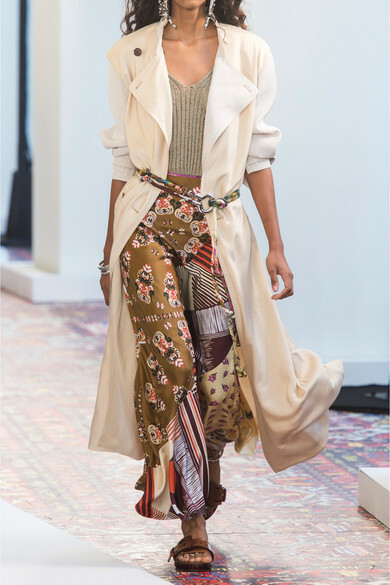 Natacha Ramsay-Levi channels a free-spirited bohemian mood inspired by Ibiza and Morocco for Chloé's Spring '19 collection. 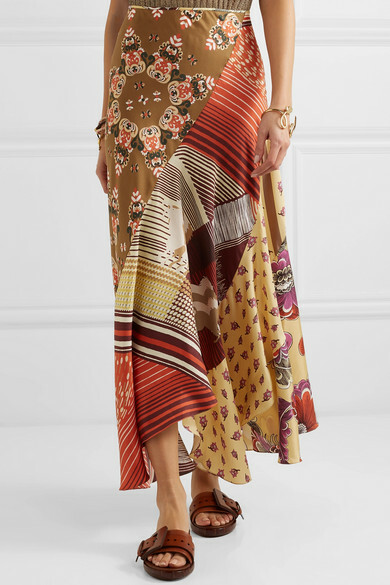 Part of look five from the runway, this maxi skirt is cut on the bias from contrasting printed silk-twill panels to create a sense of movement at the hem. Take your lead from the show and wear it with elegant slides and a tank, for an outfit that's as suitable for the city as the beach. 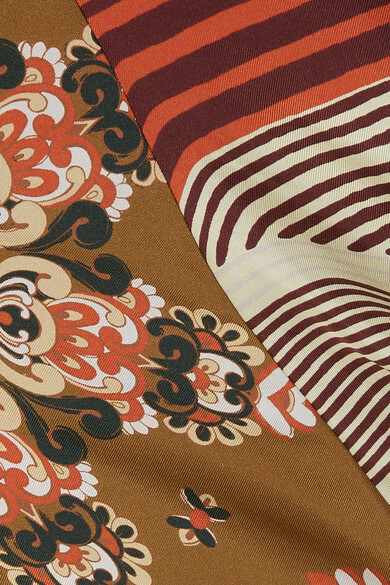 Shown here with: Chloé Tank, Chloé Belt.